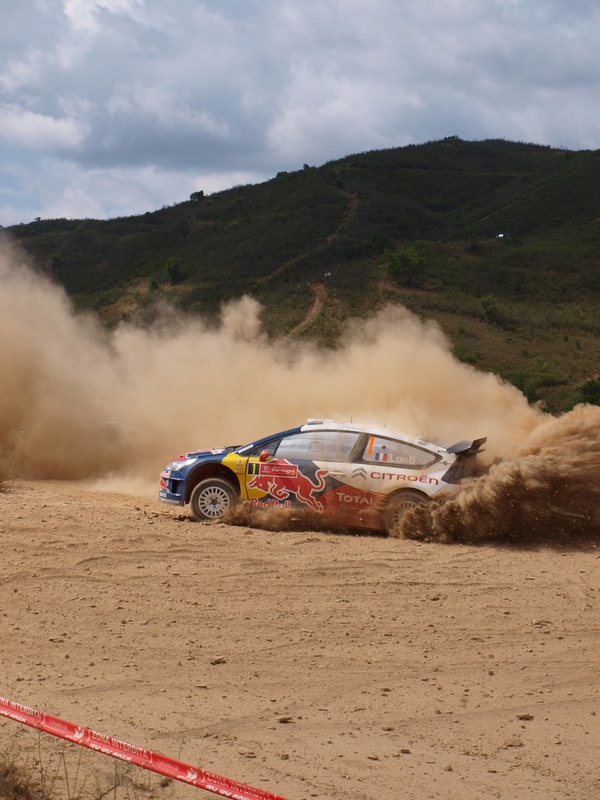 Sebastien Ogier leads Citroen team-mate Sebastien Loeb to run first on the road on Saturday, with just the two super specials to go. After a tricky day out on the high gravel stages of Mexico. Sebastien Ogier leads by 1.6 seconds after SS8 in Mexico, meaning the younger Frenchman will have to run first on the road for day 2 on Saturday. However, Ogier is still the subject of a stewards enquiry due to a possible rule infringement prior to midday service, After leading through the morning, Ogier arrived back in Leon in second place, just 1.3 seconds behind Loeb. Ogier now faces the possible threat of exclusion after taking a wrong turn after time control.The Frenchman drove his Citroen DS3 WRC straight into service instead of going into a 20-minute re-group which preceded the half-hour service. Petter Solberg was lying in 3rd overall for most of the day, and on stage 5 was just 18.4 seconds down on leader sebastien Loeb. But on Stage 6 Solberg’s car sounded very sick, his Citroen crawled over the stop line, sounded more like a motor boat than a rally car. At stage end he said, “I don’t know I can’t go. That’s bad when we are trying to get a good start to the championship.” It was very similar to the problem that Ken Block had before the start. On the road section, they discovered it was caused by a broken wire, and managed to repair it to be 2nd quickest on the final gravel stage of the day. but finished the day in 13th overall. The Fords of Mikko Hirvonen and Jari-Matti Latvala haven’t been able to challenge the Citroens at the top three. Hirvonen has not been able to keep up with Ogier and Loeb either, and while he still holds third, he is now 1m19.6s adrift. After his morning puncture, Jari-Matti Latvala benefited from problems from others, plus his own speed to vault from ninth up to fourth in just three stages this afternoon, ending SS8 just ahead of Stobart Ford’s returnee Evgeny Novikov. Stobarts M-sport and brit driver Matthew wilson was up to a career best 4th place, but then on stage 7 came to a halt with suspected mechanical problems. Ken Block is reported to have stopped in stage 8 in his Monster World Rally Team Fiesta with a suspected mechanical problem. The cars and Crews are now returning to service in Leon, with two more runs around the street-based superspecial. This entry was posted in WRC and tagged Ken block, Mexico, Ogier, Solberg, WRC. Bookmark the permalink.